Los Alamos' mission is to solve national security challenges through scientific excellence. 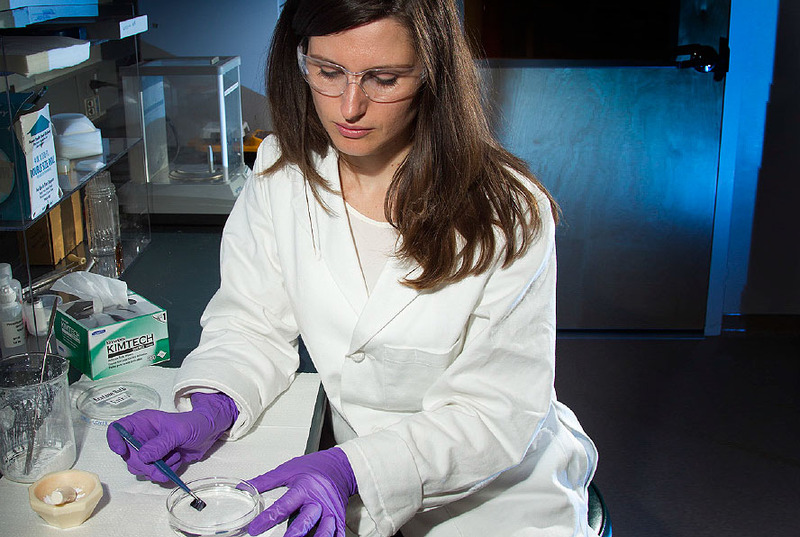 A Los Alamos Distinguished Postdoctoral Fellow is synthesizing a carbon nanostructure at the Center for Integrated Nanotechnologies. In the search for the most promising properties to improve energy storage, sensors, and nanoelectronics, researchers have established a new capability to synthesize carbon nanomaterials and new approaches to generate hybrid materials from them. With energy use increasing across the nation and the world, we apply our expertise to those areas in which energy security needs intersect with our scientific strengths and capabilities. We tackle these challenges through fundamental scientific discovery by harnessing our experimental and high-performance computational modeling and simulation capabilities. We partner with energy industry leaders to develop energy sources with limited environmental impacts and improve the nation’s energy infrastructure security, reliability, and efficiency. Los Alamos works to develop new ideas for reliable, secure, and sustainable carbon neutral energy solutions for the nation.